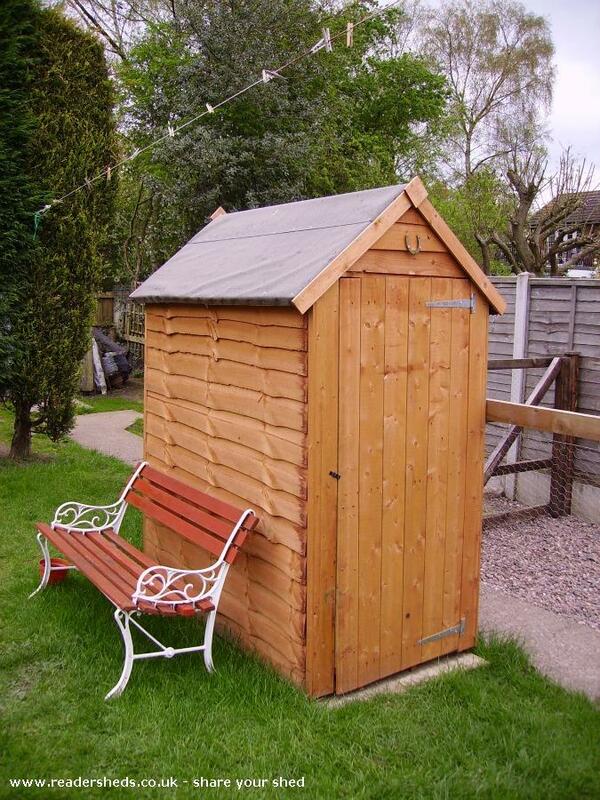 My shed is special because it is now an outside toilet. 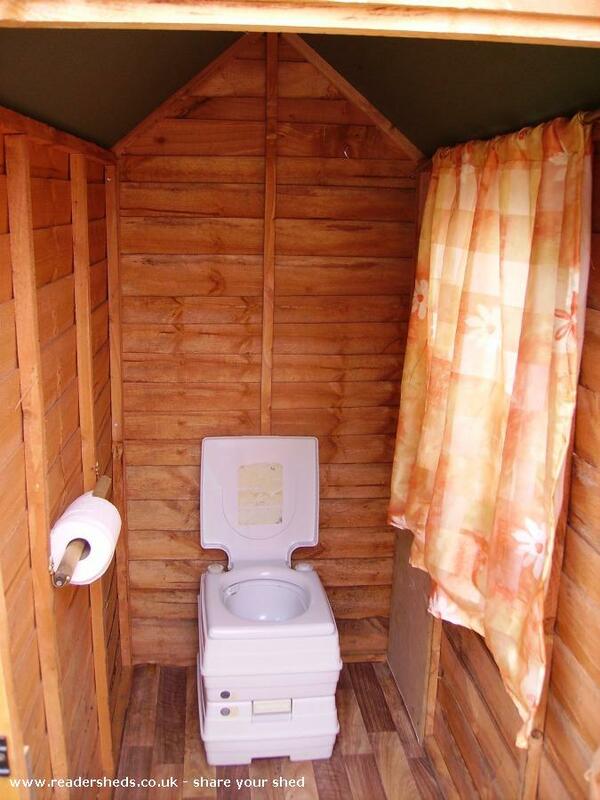 No longer do i have to cross my legs when the teenagers are hogging the bathroom. 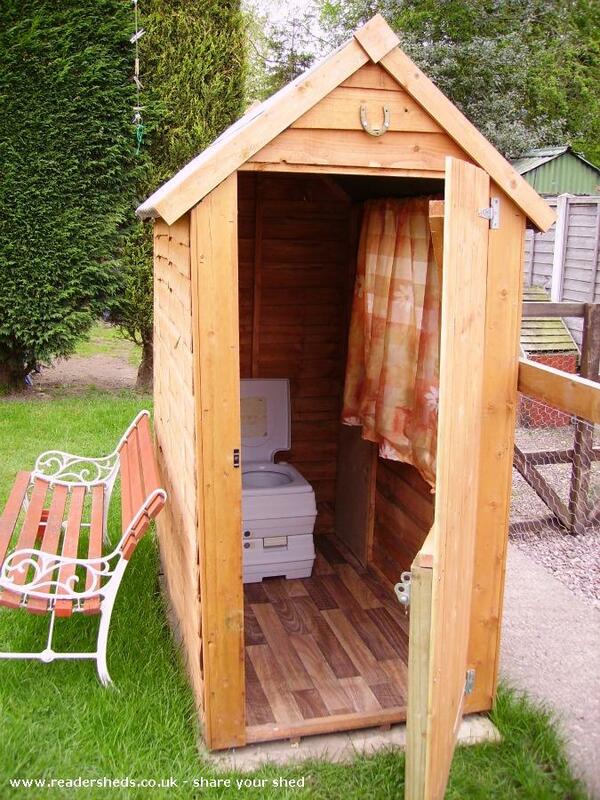 The shed started out as a Dog Kennel but he grew too big for the household so had to go and then we were left with what to do with a 5ft x 3 ft shed so i thought i know, we'll fetch the porta potty from the field and build an outside toilet as i am desperate for a seperate toilet. We made a curtain and a toilet roll holder out of some salvaged junk and used an old toast warmer for a shelf for the hand gel.We put a lock on the inside and it is having a solar light fitted to it which at present is still on the stable where the toilet was.Relief!